Betty was born on January 6th 1926, in Peckham, in south east London, the fourth and last surviving child of Sir Arthur Herman Munro (14th Baronet of Foulis-Obsdale) and Violet Beatrice Powles. Betty's first employment at the end of the Second World War was with the Admiralty, but in 1949, she decided to become a teacher and enrolled on the emergency teacher training programme based at what is now Ashridge Management College. There she met her future husband, Brian. They married in 1950 and settled in Reading, where they brought up two daughters, Gail and Linda. 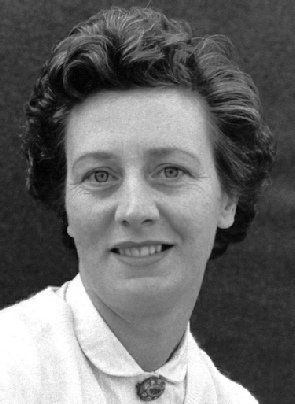 Betty taught infants, primary and secondary level pupils throughout her career. Her favourite age group was definitely the youngest children, especially teaching them to read and write, which she found professionally very rewarding. Many of her previous colleagues kept in touch with Betty well into her retirement. They speak of the great working relationships that she built with other colleagues, and the trusting and enjoyable friendships generated. Betty was proud of her Scottish ancestry, even though none of the close family were born in or had lived in Scotland. Whilst on holiday in Nairn in the 1990s, Betty took the opportunity to contact Foulis. She was immediately invited for a tour and lunch, together with her companions (her daughter Gail, son-in-law, Richard, and his mother). It was a fascinating visit with generous hospitality that she talked about for years afterwards. It also led to Betty and Gail joining the Clan Munro Association. Over the last twenty years, Betty had a progressive disability which made her less and less mobile, but she remained cheerful and uncomplaining. She was blessed with good and supportive neighbours, friends and family, which enabled her to remain in her own home. She passed away peacefully in her sleep on Friday 29th December, just 8 days short of her 92nd birthday.